There is a wonderful rare dolphin in the Indus River that could become extinct as in the Yantese River in China. These animals are a good indication of the health of the river, if they die out it shows that too much water has been siphoned off and also that it could be polluted. They are also part of the heritage of Pakistan, a joy for our children to see and a source of pride and income from tourism for the local people. Various groups are trying to look after them and their web addresses etc are included below. 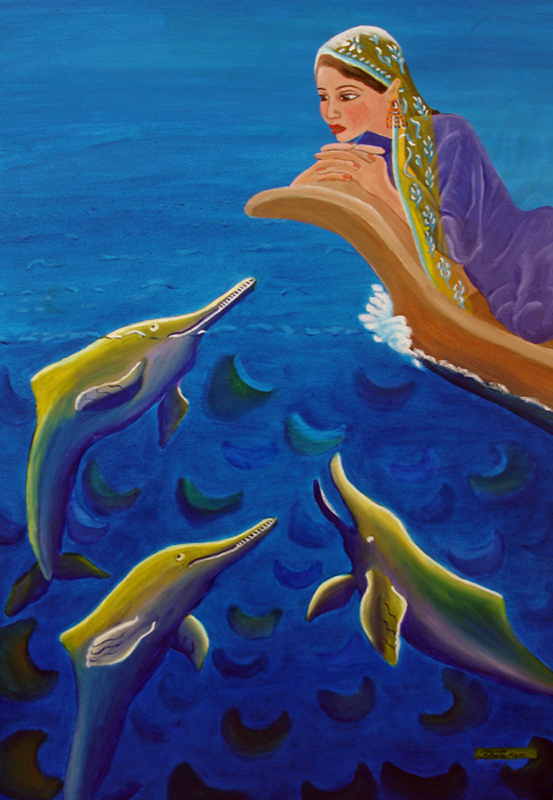 These paintings were inspired originally by a large work done for the group WDCS, in Speyside, where the indigenous dolphins that live in the Moray Firth in Scotland are at risk from drilling for oil in their habitat. 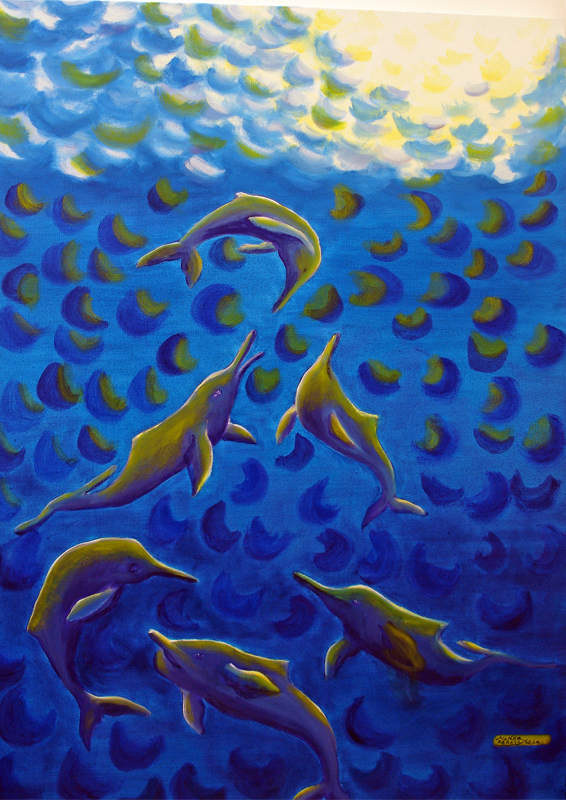 My painting can be seen there and the charity uses the image to help raise funds. It led to researching the dolphins in Pakistan and hoping that people will want to preserve Indus River ones for future generations.